I have been suspecting that my husband has been shooting up pain pills and heroin for a long time. He had done very well for the last week or so after I found out I was pregnant. He was the man I fell in love with again. Sadly, to my demise, I had an early miscarriage at just over 5 weeks 2 days ago. He was so happy he was going to be a daddy and have a reason to change his life! Unfortunately, I found while he wasn't home, his "stash". Finally! The needles and the spoons and the cotton. I'd been wiping blood off the bathroom counters for a while as well as droplets of whatever he shoots up off the walls the floor and counters too. I feel relieved that now I know the truth. I am not sure how to tell him I KNOW now. Before it was why did I hear a spoon on the counter? Or why did I hear a belt and you don't have one on? But now I have all the evidence I need! What do I do? I love this man and he wants to try again to have a baby. I'm so confused. He didn't used to be this way. I'm not sure when he started using. He started snorting them and I guess he's been shooting up for a few months now. His mom is now aware and I showed her the stuff to prove it. We aren't sure how to approach this situation. We are not children or teens. We are in our late 20s and I really want a baby but I don't think I can try until I know he's clean and sober. Please give some tips on how I can confront him. Try to stay calm when you discuss it with him. Wow, finding out that your husband is heroin addicted is a pretty devastating discovery. Losing a baby to miscarriage is also a huge trauma.Both you and your husband need as much support as you can get to get through this awful time. Confronting your husband by arguing with him is not likely to be effective. He has to decide that HE wants to stop using otherwise you are wasting your breath to discuss it with him. I would work with his mother and try to find a treatment center in your area that someone you trust recommends. Doctors are a very good resource for referral and so are Al-anon members a good place to start. Once you pick a treatment center, make an appointment with them and work with them to decide the best way to get your husband into treatment ASAP! I must tell you that the odds are not in your husband's favor. 70% of people who become heroin addicted cannot stop using and it is often fatal for them. I'm saying this so that you realize how dangerous heroin is and why you MUST get your husband into treatment right away. You and your mother-in-law also need to start attending Al-anon meetings three times a week so that you can learn how to avoid ENABLING his addiction. You must set VERY strict boundaries with him and stick to them. Boundaries may include not tolerating his use and calling the police if he continues to use. He must stop using and go into treatment to continue his life as he knows it. It also should not be a secret, the more people who know and can help you to get him to stop the better. This is an extremely deadly and serious problem and it will probably take everything you have to help him to get through this. Is my husband shooting up? I have been with my husband for 20 years and I know that as a teen he started using drugs and then got help. Now he has been clean for five years but I keep finding needles hidden under his clothes in the closet. Because I put his clothes away and I find these needles hidden and I have seen them twice before and confronted him about the needles and he said he didn't know where they came from. With addiction recovery, usually where there is smoke there is fire! My experience with addiction recovery makes me think that where there is smoke, there is fire. That's an old expression that means if your husband has had issues with addiction, and you keep finding needles in his clothes (smoke), then he has probably relapsed (fire). None of us want to be judgmental or accuse our loved one of things unfairly, but when someone is in addiction recovery then trust is EARNED one day at a time. 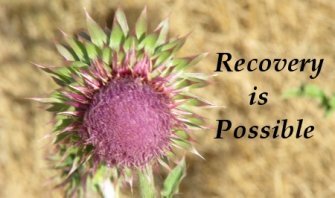 Five years of sobriety is wonderful, but relapse can occur anytime even after five years. It's PERFECTLY reasonable for you to be concerned about finding needles in your husbands clothes. You need to tell him your concerned about him and about a relapse and that's why the needles upset you. If he refuses to discuss it or denies that there is any issue, then ask him to go to the doctor and take a hair follicle drug test, which will show any usage in the last three months. If he continues to refuse and refuses to be tested, then you likely have your answer. Trust is earned and as addicts we all must be willing to help our loved ones to regain trust in us and taking a drug test is a small step to reestablish that trust. Hopefully, he will take the test and restore your peace of mind that he isn't using. If you find out that he has relapsed, then you can help him to begin his recovery again.